Sylvie Meehan was a true find! Personally, Sylvie is so pleasant to work with and professionally she is excellent at design! 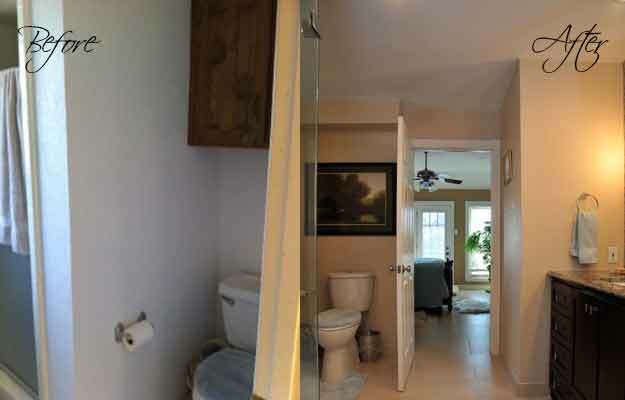 We lived with a 1980’s bathroom for 14 years. We had a vague idea of what we wanted and Sylvie was able to create a beautiful, fresh design that suited us perfectly! Next was finding the materials. This process was the most foreboding for us and again, Sylvie made it painless. In 2 1/2 days we visited her excellent vendors. They were knowledgeable and patient. We were able to make our selections in less than a week. We had originally planned to do the majority of the work ourselves, but were more than our skill level (too much DIY TV). Sylvie was there to help along the way with contractors and suggestions. The final product is fabulous! 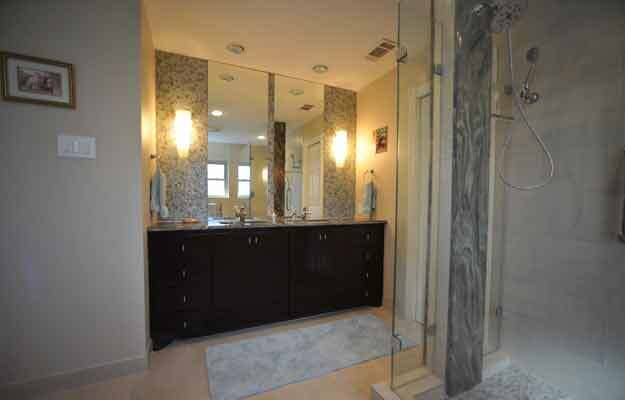 We are happy with our master bathroom that we are already making plans to re-do our other bathroom. Of course we will be going back to Sylvie! We would not hesitate to recommend her to our friends and strangers! 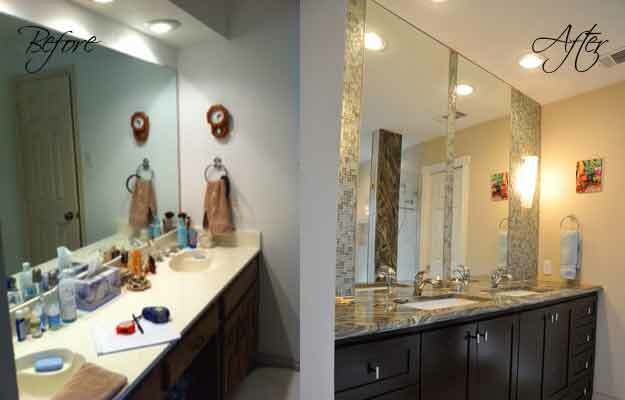 For their master bathroom remodel this client wanted to open up the space so it felt less confining, and update the look so it felt less dated. 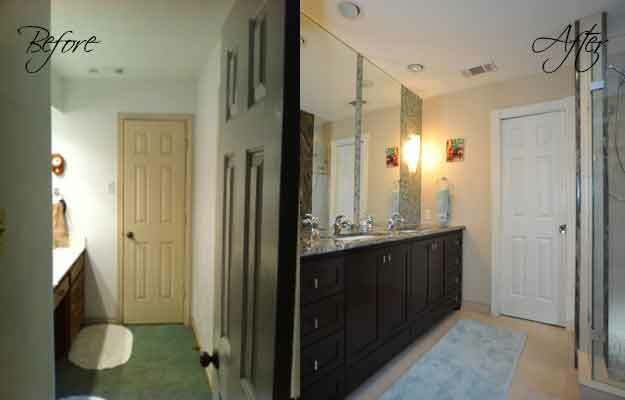 We started by making the space into one large room; removing the walls that separated the vanity, tub, shower, and toilet areas. Because the client didn’t use their tub we removed it and replaced it with a large shower. 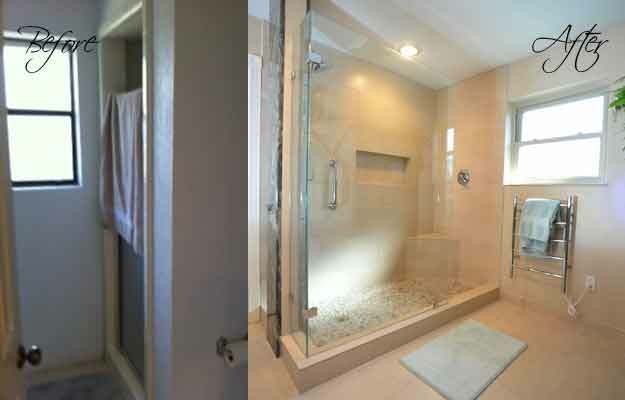 We wanted to maximize the open feeling with glass, using frameless shower glass to open the space up. The shower includes a corner bench and a niche for easy storage. 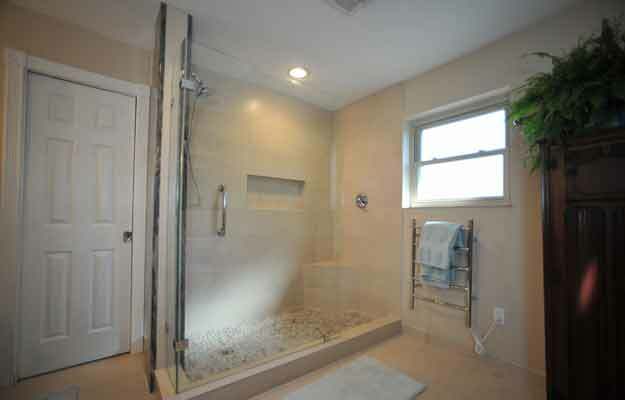 We used 12 x 18 wall tile to make the shower look even bigger, and used a post to install the plumbing head in the shower. 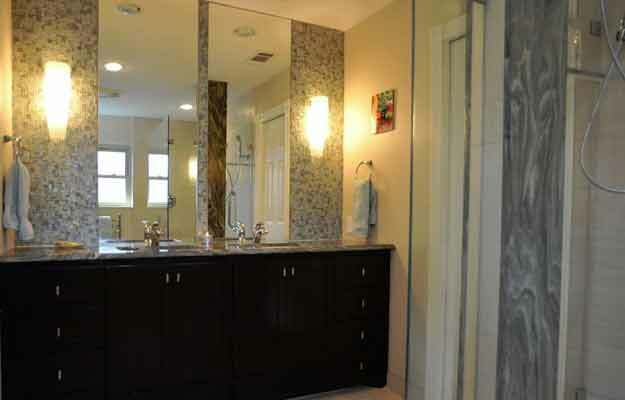 The infinite mirrors (from countertop to ceiling) give height to the room. 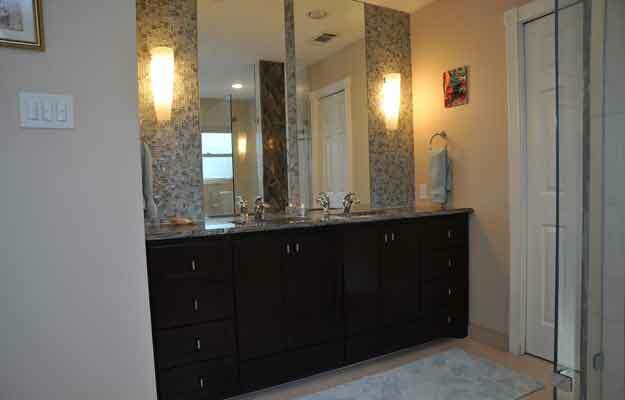 A custom stained vanity was built and the two sconces above the vanity make the glass mosaic really pop. 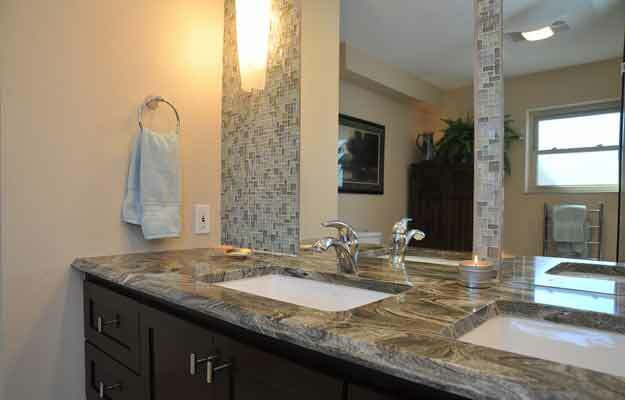 For an extra touch of luxury we installed a towel warming rack.